You need Multivitamin Tablets to achieve your health and fitness goals. It may help ensure the presence of essential nutrients for your metabolic functions. Multivitamins are categorized as water soluble and fat soluble. Multivitamin Capsules are Water soluble and must be taken daily since they are not stored in the body. Whether you are male or female, young or old, athlete or bodybuilder, Multivitamin Supplements should be the first nutrient you should take every day. Even if you eat recommended amounts of nutrient rich fruits and vegetables, but still you are lacking some of the essential nutrients. A daily multivitamin is a good way to make sure you are getting all the nutrients you need to be healthy. That is why a nutritional supplement can help fill in the gaps and have additional health benefits. There are plenty of wise reasons to take multivitamin supplements. Even the best diet plans can fall short of meeting all of the 40-plus nutrients you require every day. In Today’s hectic and stressed scenario many people fail to meet nutritional recommendations for many reasons, including poor appetite, changing nutritional needs, or less-than-healthy food choices, stress and work pressure. Including a multivitamin is an easy approach to fill in small nutritional gaps. Multivitamins are prescribed for patients who require extra vitamins, who cannot eat sufficient food to obtain the necessary vitamins, or who cannot attain the full advantage of the vitamins contained in the food they consume. What Can Multivitamin tablets do for Your Health? When your daily food supply falls short and doesn’t comprise necessary nutrients like potassium, calcium, vitamin D, and vitamin B12 it can cause illness, lethargy, stress and major health problems. Multivitamins not only can improve your lifestyle but also help prevent deficiencies that can contribute to chronic conditions. 1. Let your Doctor know if you are allergic to multivitamin or any other medicine. 2. Multivitamins are available in high-dose formulations (therapeutic multivitamins) and in combination with calcium, iron and minerals. Do not take these medications without your doctor’s guidance. 3. Do let your Doctor know if you are expecting, plan a pregnancy, or if you are breast-feeding before taking any Multivitamin. 1. Prevent Deficiency: Our body requires 13 essential vitamins. 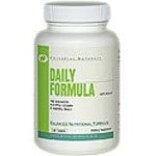 It is necessary to have all the essential vitamins A, B, C, D, B complex and B12 in the body to work aptly. Shortage of any of these vitamins can affect in illness and many other serious health problems. On the other hand, daily intake of multivitamin supplements in your diet can prevent insufficiency and lesser the risk of illnesses or mortality. 2. Reduce Stress: Multivitamin supplements are very helpful in reducing stress. People who are stressed are less likely to keep track of their health and nutritional requirements. The proper inclusion of multivitamin supplements in your diet can keep people stay healthy and lower their stress levels. 3. Personal Circumstances: Multivitamin supplements can also help to deal with personal circumstances as they prevent nutrient and vitamin deficiency. For instance, pregnant women are recommended by doctors to take multivitamins during their first trimester. This is done to make sure that there is adequate nutrition for the mother and the unborn baby. Multivitamin supplements also help to deal with old-age, alcoholism, smoking,and many other such conditions. 1. Those people who are receiving less than 1,600 calories everyday day. 2. Pregnant and lactating women can fill the lack of nutrients through Multivitamins. 3. People and children who are suffering from lack of appetite and hunger. 4. Adults having digestive illness should have Multivitamins. 6. Those who are too busy (making money) and have no time to eat properly. 1. Vitamin A: The vitamin is also well-known as Retinol. Lack of Vitamin A causes illness like Night blindness and dry skin. This vitamin is found in eggs, whole milk, vegetables and butter. 2. Vitamin B1: Vitamin B1 is also known as Thiamine. One of the reasons that lead to vitamin B1 shortage is excess intake of alcohol. The insufficiency of this vitamin leads to a sense of numbness, pain in the extremities especially the legs, loss of sensation and paralysis. Vitamin B1 can be obtained by taking food such as, whole grain, nuts, cereals vegetables, fruits, bran and fish. 3. Vitamin B2:: Shortage of Vitamin B2 leads to ulcers in the mouth, dimness of vision and cracked lips. This Vitamin is found in vegetables, liver, milk and eggs. 4. Vitamin C: Bleeding infected gums and bruising are the results of deficiency of vitamin C. It can be relieved by taking citrus fruits like orange and fresh vegetables. 5. Vitamin E:: Severe deficiency of Vitamin E can affect the central nervous system resulting in ataxia and peripheral neuropathy. It is a vital nutrient and can be found in nut oils, vegetables, wheat germ, sunflower seeds and whole grains. 6. Folic Acid: Symptoms of this insufficiency are same as those of the B1 and B3. Whole wheat, Vegetables, nuts, and liver should provide the necessary nutrients usually needed. Expectant women may need this supplement. A multivitamin is not a substitute for healthy food or a healthy lifestyle, but it can provide a dietetic backup for an ideal diet. It also helps to improve general bodily functions and promotes overall well being. 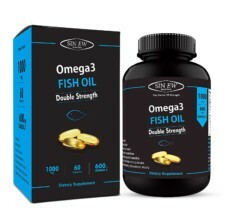 These Supplements are a good pick for health aware people who want to give their body the accurate nutrients. With multivitamin supplements, you can get most of the nutrients needed by the body for a fantastic day to day performance.